Search Results for "animal hair"
Woman caressing Tibetan mastif dog. 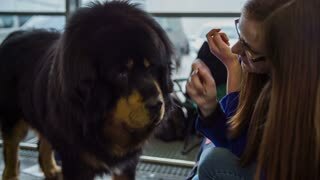 Attractive woman great with animals caressing long black hair fur of big pedigreed dog. Dog wagging tail close up. 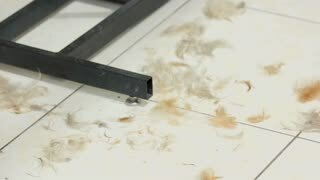 Animal hair, pet salon floor. Canine behavior study. 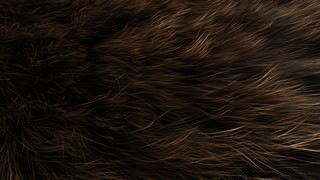 Animal fur close up, animal, decoration, detail, fluffy, hair. Dog paws and hair clippings. Animal in grooming salon. Dog hair on tile floor. Animal fur clippings. Dog hair on the floor. Push broom sweeping animal fur. 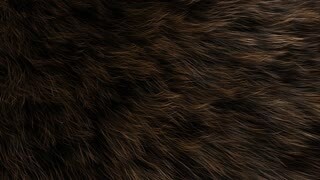 Beautiful silver fox fur close up of animal hair, slow motion. Dog Show in Kiev-Ukraine 25. August 2017. the dog jack rassel, the preparation of the dog for the entrance to the ring. the mistress of the animal does grooming his hair on the table. 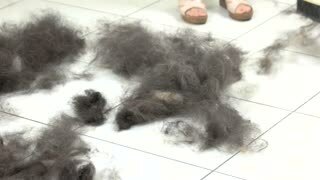 SLOW MOTION: brushing fur of a angry black cat on its chair. Cat rebelling and attacking to defend its hair from taking. The concept of animal aggressiveness and animal care.